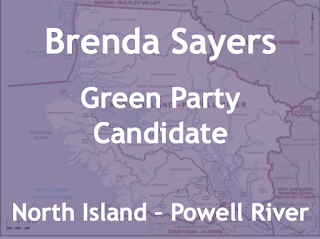 Brenda Sayers from the Hupacasath First Nation and comes from a traditional line of hereditary Chiefs and is the Green Party candidate for North Island – Power River. -Brenda has been the Financial Administrator of Haahuupayak School since 1996, an independent school teaching Nuu-chah-nulth language and culture to Indigenous children. 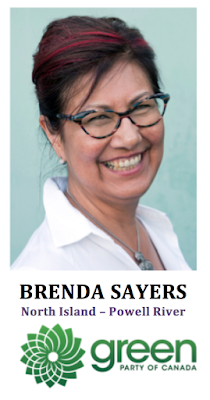 -Brenda has served a term as Councillor for the Hupacasath First Nation and has sit on several band committees. She was also the Director of the Nuu-chah-nulth Tribal Council. - She has been a leader organizer for her nation and the larger community against the enactment of FIPPA. She was instrumental in the Hupacasath lawsuit against Canada for lack of consultation. -Brenda currently sits on the board for Crime Stoppers and previously she sat on the BC Transit Board. 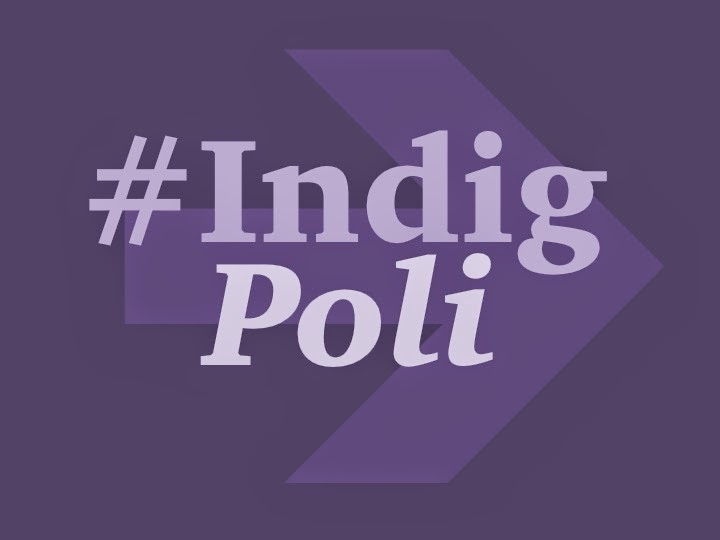 -North Island – Powell River was a previously created riding that was dissolved in 1997. It has been recreated with parts of the former Vancouver Island North riding and West Vancouver – Sunshine Coast – Sea to Sky Country. 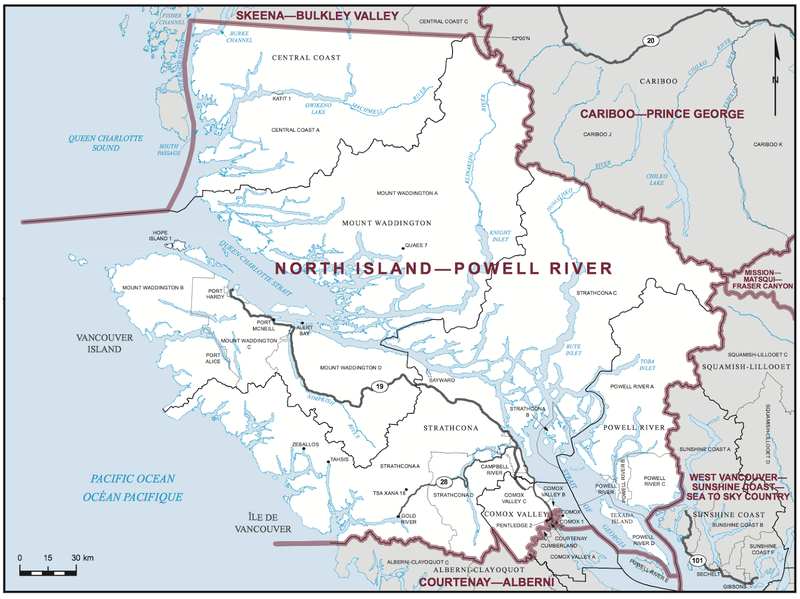 The new riding includes the northern portion of Vancouver Island and coastal communities north of the GVA. -The incumbent of Vancouver Island North is Conservative MP John Duncan, who was a former Minister of Aboriginal and Northern Affairs. He later resigned for inappropriate communication to the Tax Court of Canada. -Duncan decided to run as the CPC candidate for Courtenay-Alberni and the other MP for the former riding is not running again. 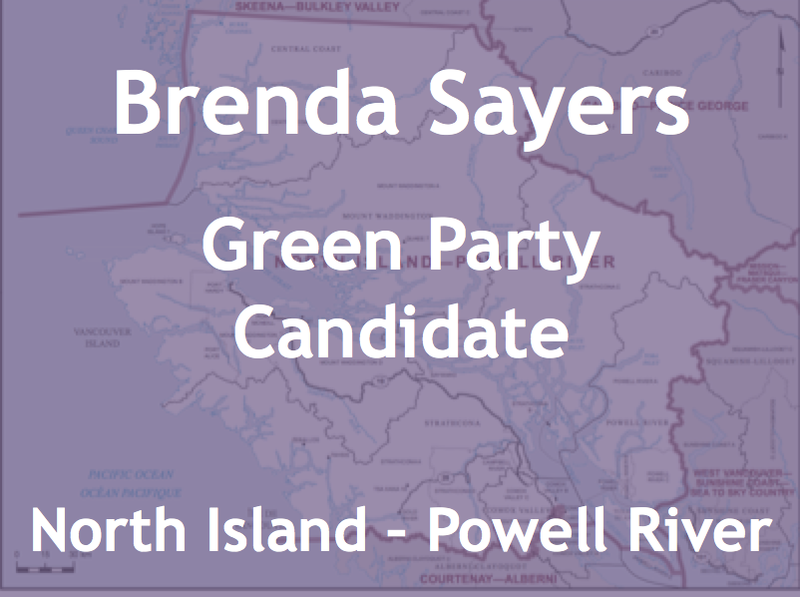 Which means that there are incumbents running North Island – Powell River. 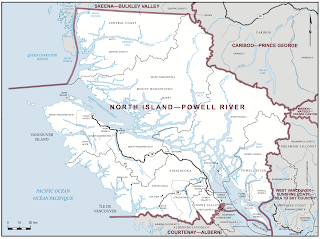 -The Aboriginal population of North Island – Powell River is 10,560 or 10.6% (2011), and it includes several Nuu-chah-nulth nations.